The stream is run from an Apple Mac Mini running Boinx Software's mimolive video production software. This software allows Jeff to switch cameras, add graphics and helpful information to the stream, and more. To enhance the quality of picture, Jeff uses Webcam Settings, which is an app that hacks the video feed from webcams and allows precise controls of the various settings of the video. This is especially useful in providing a better view of the owls at night in low-light situations. Jeff uses a similar utility to control the robotic cams remotely via software. We have several cameras strategically placed, the primary two being robotic BCC950 Conference Cams. You may also see several nest Outdoor Cams within certain views, which can be used to provide supplemental views to the live stream, though they are generally used to record the activity for use in other ways. Since only 2 USB cameras can be connected at once to the hardware, all cameras are connected to separate 30-meter amplified USB cables that run to our "tech closet" where the Mac Mini is, out of site from the nest. Different cameras can be quickly swapped out this way to provide optimal views as needed, and the active cameras can be switched to and from, along with combined picture-in-picture and zoomed shots thanks to mimoLive. Audio is captured using two different kinds of microphones: an Audio Technica stereo microphone, used to capture ambient sound, such as the owls hooting on rooftops. A directional shotgun mic is mounted over the nest and is aimed directly at it to capture even the slightest sounds at the nest pot. This is particularly useful during hatch time, as the owls make noise inside the eggs as they prepare to hatch. The stream is output in 1080p directly to YouTube by a Taradek VidiU, a video encoding device that has a hardwired uplink to a high-bandwidth internet connection. (Note: for connection reliability, the stream is often sent at 720p). 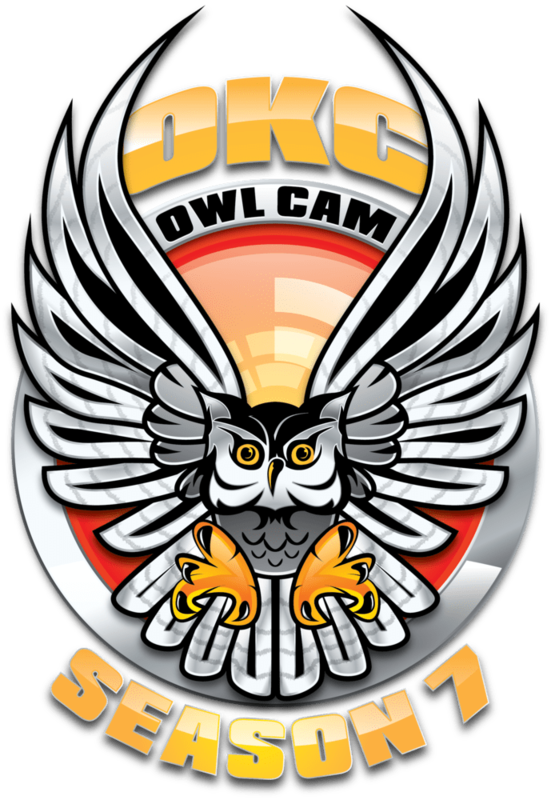 Facebook Live streams are provided on the OKC Owl Cam Facebook Page through one of many of mimoLive's numerous built-in streaming protocols. We do not stream to Facebook Live 24/7 as we do with YouTube, but generally will take to FB Live when something noteworthy is happening or expected to happen on the nest. 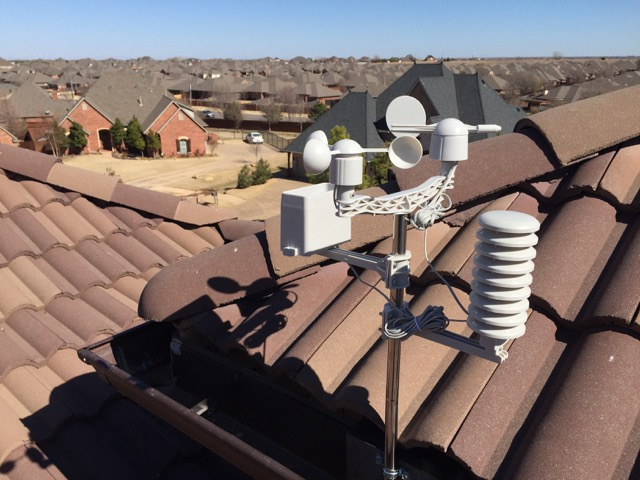 Real-time weather data of the conditions within 20 feet from the nest are collected using a Ambient Weather WS-2090-IP IP Wireless Weather Station. The weather station reads the conditions and wirelessly transmits them to a receiver in the tech closet. This receiver is connected to the Mac Mini, which also runs Tee-Boy Software's Weathersnoop 3 software. Weathersnoop reports this data both to the OKCOwlCam station page at Weather Underground, as well as to the mimoLive live video software, which inserts it into the live video streams.